“Late yesterday we became aware of new information regarding the lieutenant governor's personal decisions and subsequently had a conversation with him,” Heineman said. “I had trusted him and that trust was broken,” he told reporters. CNN’s attempts to reach the governor through his office, assistant, and the governor’s office were unsuccessful. Sheehy said the split involved a “personal family matter,” according to the World-Herald, and that he had no plans to leave his job or quit his campaign. Heineman had previously endorsed Sheehy’s bid to succeed him when their term expires in 2015. CNN affiliates KMTV and KETV reported Heineman was withdrawing his endorsement and doubted Sheehy’s campaign would continue. Sheehy’s chances to win the governor’s seat looked good, Hibbing said, after the former legislature speaker Mike Flood withdrew from the race citing his wife’s cancer. With the GOP field now empty, he says Attorney General John Bruning or state legislator Charlie Janssen may run. Bruning ran for the U.S. Senate last year and drew attention as one of several attorneys general who sued the Obama administration over the health reform law. Heineman had served as lieutenant governor under Gov. Mike Johanns, who resigned in 2005 to join President George W. Bush’s Cabinet. Heineman became governor and appointed Sheehy his lieutenant. The two were elected to full four-year terms in 2006 and 2010. 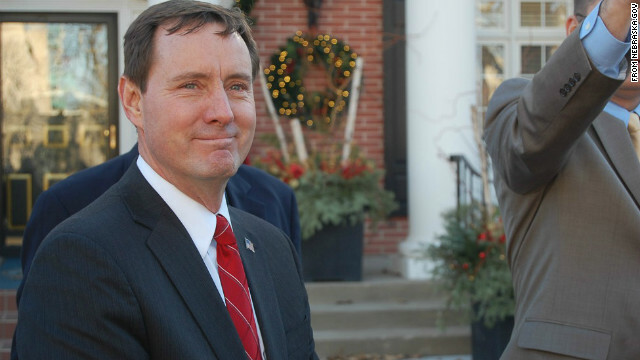 Sheehy recently served a term as chairman of the National Lieutenant Governors Association. Before his appointment as lieutenant governor, Sheehy was a mayor and rose through the ranks of an ambulance company where he worked for 20 years, according to his state biography. The lieutenant governor’s duties include presiding over the state’s legislature, which is the nation’s only unicameral – single-body – legislature. I dont think most people would get so worked up over this if it wasnt for the whole preaching about 'family values' to others while ignoring those themselves.